Y’all know I love some Walt Disney World. There is a reason behind that. When my family visits the parks, there is something about me that changes; something that lights up. It sounds silly here on my computer screen, but I like to think of it as the kid inside. When we plan a Disney vacation, most of the preparations are completely done ahead of time, from reservations to dining choices, and now with the evolution of Fastpass+, even attractions! We go, are completely free and as close to childlike as possible in adulthood. It’s just lovely. This is why we are planning a family trip for the Fall and also why I am thrilled to be attending the Disney Social Media Moms Celebration this weekend with my husband, Jerry. 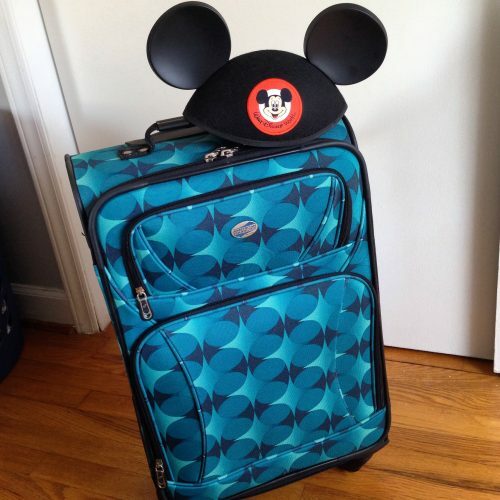 Thanks to American Tourister for helping me #Packmorefun! This year, we’ll be traveling to the Disneyland Resort in Anaheim, CA and I am so excited! For starters, we have never been to Disneyland and I am absolutely thrilled to check out the original park. Back when I was invited, Jerry and I decided not to bring the boys for a number of reasons. As the hours draw near, my heart is already missing the boys but I am equally thrilled to have some much needed time away with my husband. We went to California on our honeymoon almost seven years ago, so this feels like a little bit of a second honeymoon. We both needed a chance to recharge and really enjoy each other. We are going fit as many dates in around the conference as we possibly can. What better place to date than Disneyland?! I am hoping to take a page from my friend Fadra and work a little video magic during the conference to give you an idea of what goes on during this historically amazing weekend. I’ll also highlight some of the fun adults can have when the kiddos aren’t around. There is something for everyone and I hope you’ll follow along! We have already been promised presentations from NFL superstar, Donald Driver and Twitter’s Creative Director, Doug Bowman among other fun activities during our conference day. We’ll be screening the new Disneynature movie, Bears and who knows what else! In the past, this conference has energized me, inspired me, and reminded me of the “why” behind what I do. Beyond that, I have made incredible connections with friends and colleagues as well as created lifelong memories with my family. To say I am excited would be a massive understatement! It’s an absolute thrill to have a job I truly love that has provided me with so many unique experiences. I can’t wait to share them with you! 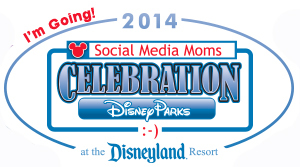 I paid a conference fee to attend the Disney Social Media Moms Celebration at a deeply discounted rate. As a part of this conference, we will be provided with complimentary items, special discounts and other benefits such as food and entertainment so that we could experience the magic of the Disneyland Resort. I was not asked to blog about my experience. All thoughts in this post are my own.